This giant monarch cactus grows to fifty feet or more with a large spread, depending on how many arms it produces in its lifetime. It is slow growing-only one inch a year-with a thick, massive, columnar trunk and wax-like skin that helps it retain moisture. The saguaro can produce many branches or arms, but usually only produces one to five. Its trunk and branches have large ribs with straight spines growing out of each rib. When the saguaro receives water by rainfall, the outer pulp expands like an accordion. 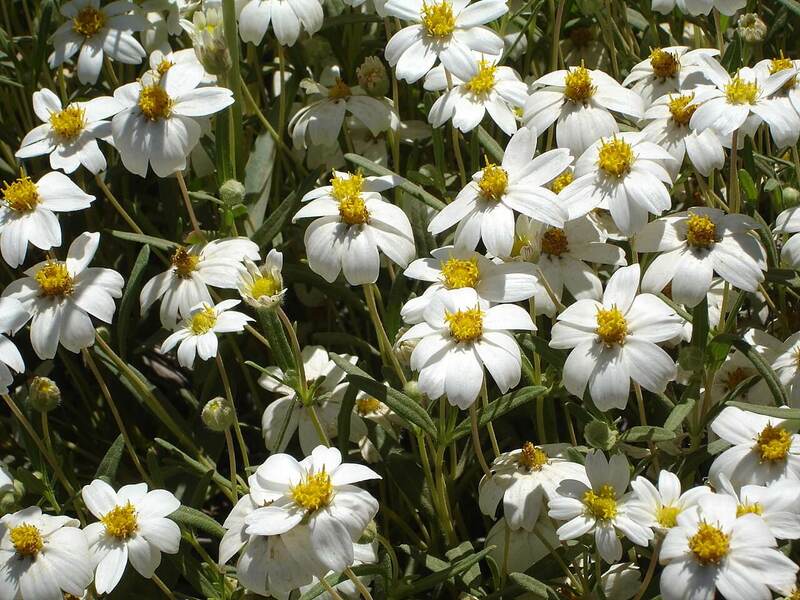 In May, the plant produces three-inch-wide, creamy white blossoms with yellow stamens that grow in clusters on the southeastern side of the stem tip. The blossoms open during the night and close again by the next day. Saguaro flowers are fertilized by birds, bats, and insects. After flowering, the plant produces a reddish-green, three-inch, oval, edible fruit that opens in late June through July. The fruit, which has red pulp and black seeds, can be eaten or made into jams and jellies. When the seeds disperse in the wild, the seedlings may germinate but stay very small for many years. 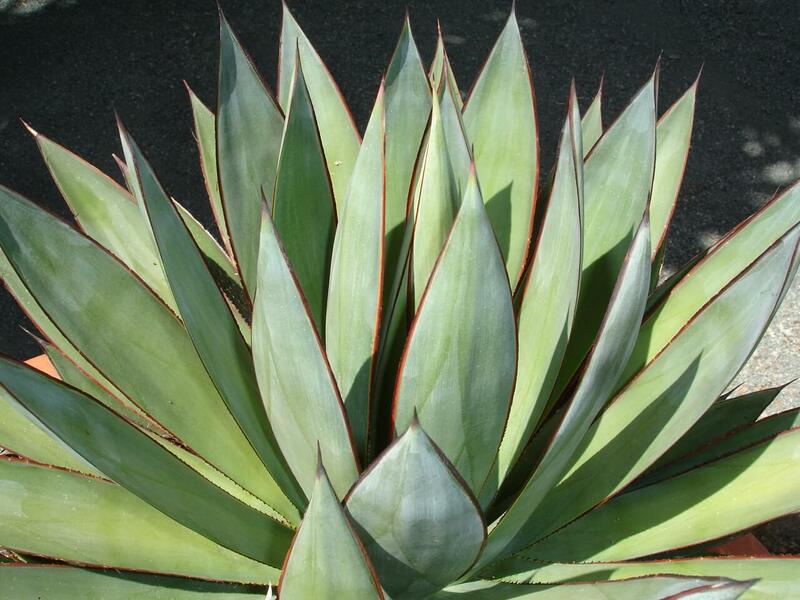 This large cactus is an endangered species and a protected plant. 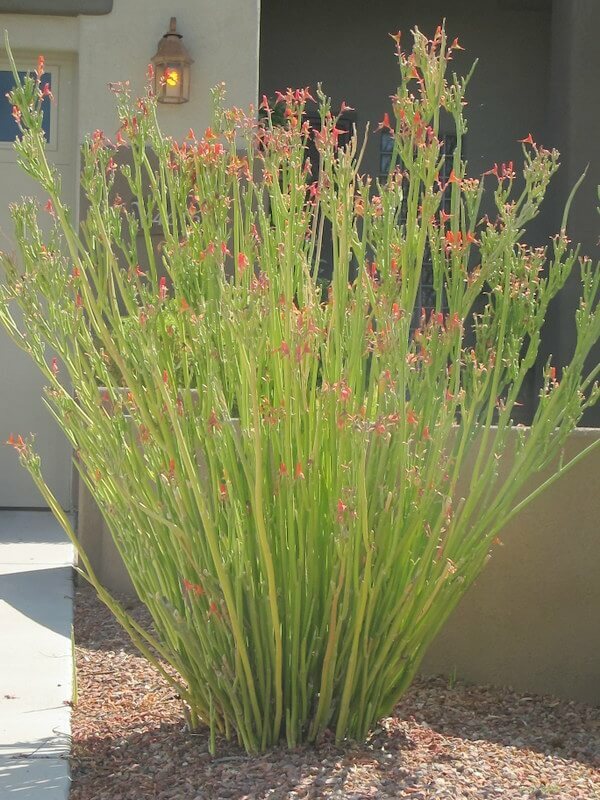 While available at specialty plant nurseries, if the plant is dug in the wild, it must have a protected tag, especially when salvaged as a result of road construction or new subdivisions. The saguaro blossom is the state flower of Arizona. Use it as a large, dramatic accent against tall buildings or in large, open spaces. The hardwood and ribs from a dead, decomposed saguaro can be used for fences, ramadas, and ceilings. 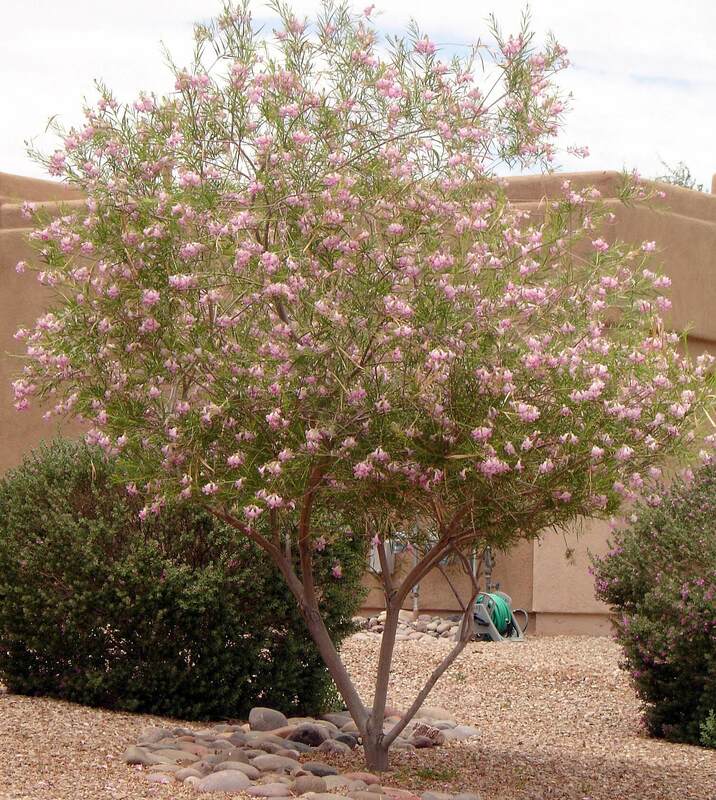 It is native to the Sonoran Desert of Arizona and Mexico as well as in an extremely small area of California. 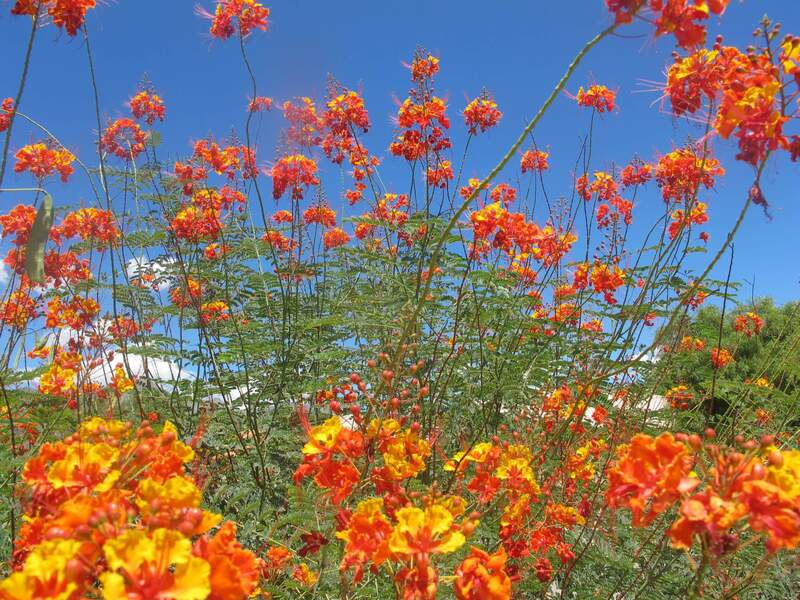 This plant is hardy to about fourteen degrees Fahrenheit and likes full sun with reflected heat. 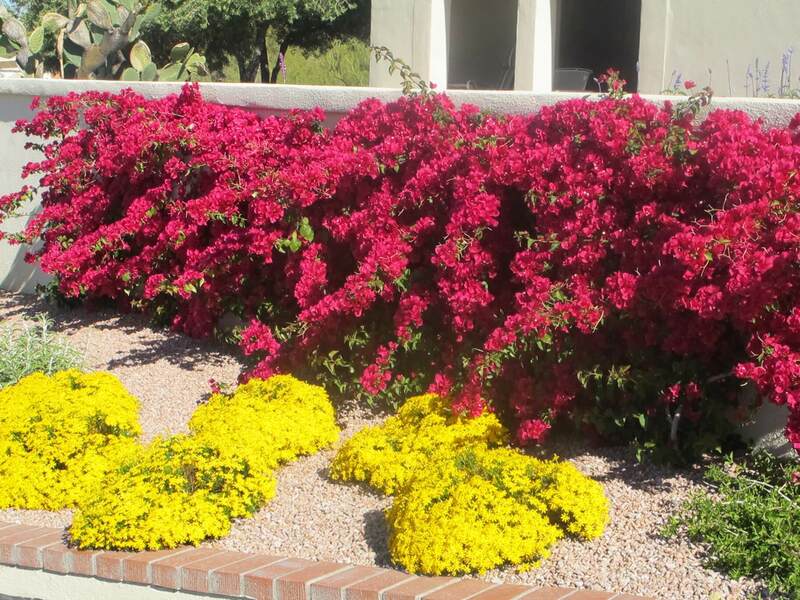 It is drought-resistant and mainly gets its moisture from summer monsoons and winter rains. The saguaro is susceptible to a disease called bacterial necrosis. If it becomes infected, the plant eventually dies. Heavy rains may topple large plants to the ground if the soil becomes too saturated.